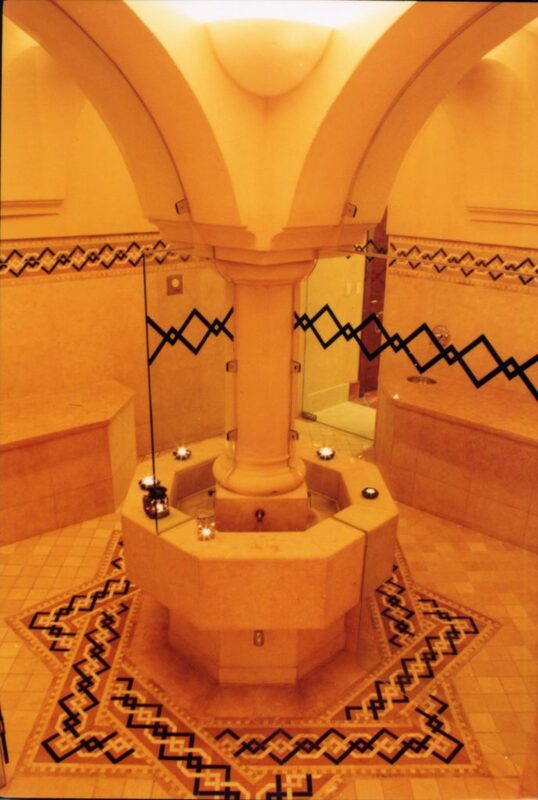 After living in the Middle East for almost two years, I have gotten to love – and know what makes a good Hammam. 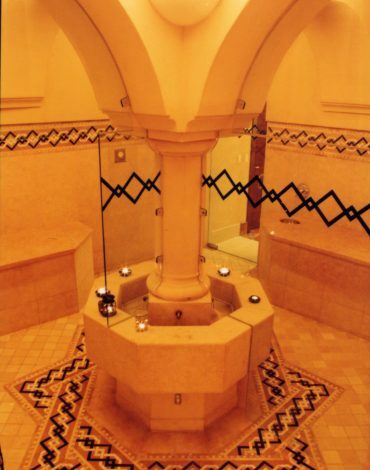 And so, with my fourth intercontinental expat relocation to Vancouver, Canada, I have been thrilled to have discovered, a few weeks ago, that Canada’s oldest (and therefore likely best) Hammam, lies in my new home city of Vancouver. A Hammam is a Turkish bath associated with the Ottoman Empire, and involves an experience similar to that of being in a sauna whilst being scrubbed clean by an attendant with a full body wash and, sometimes, a massage. Typically, a Hammam begins with a relaxation in a room akin to a sauna, full of hot, dry, air, before moving to a hotter room where they are washed with cold water. This is more like a steam room, and one is typically washed down and massaged here. It is an intense experience but one that’s oddly soothing (there’s something calming about being washed down and scrubbed clean by a hospitable stranger in a steamy, warm, room). On my first weekend in this bustling, beautiful city, on a grey, cold afternoon, I decided to treat myself to an afternoon of rest and rejuvenation by booking myself into the Hammam. Located right in the heart of Vancouver, across the bridge from Granville Street on the corner of West 6th Avenue, the Hammam is easy to get to from Granville Island, the Seawall, and downtown. Inside, though, the Hammam does not feel like Vancouver – or Canada – at all. Awash with the delicious fragrances so familiar to me from the Hammams of Istanbul and Marrakesh, the interior is distinctly one of the East. 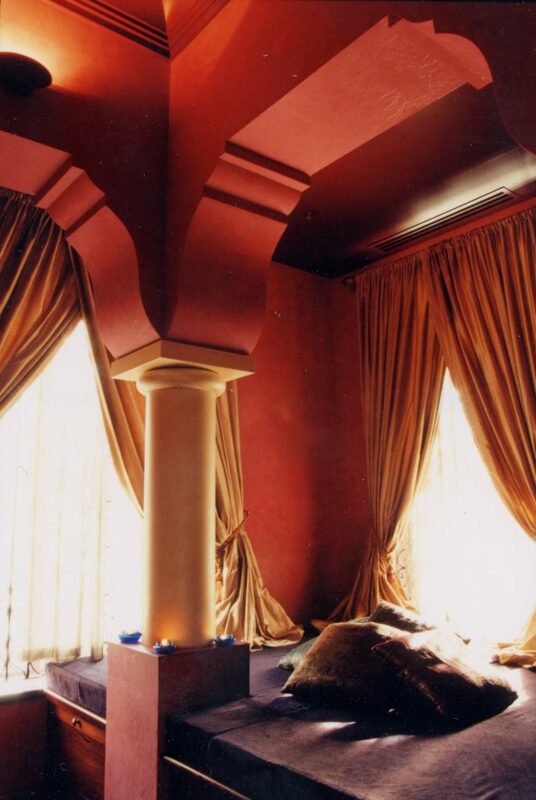 Sweet, inviting, and serene, the gentle hues are calming and warm, whilst the service is as hospitable as the most decadent Dubai spa with the ever lovely Darlene. Upon arrival, I was taken through to the pristine changing rooms where I was handed a robe and sarong to wrap around myself. 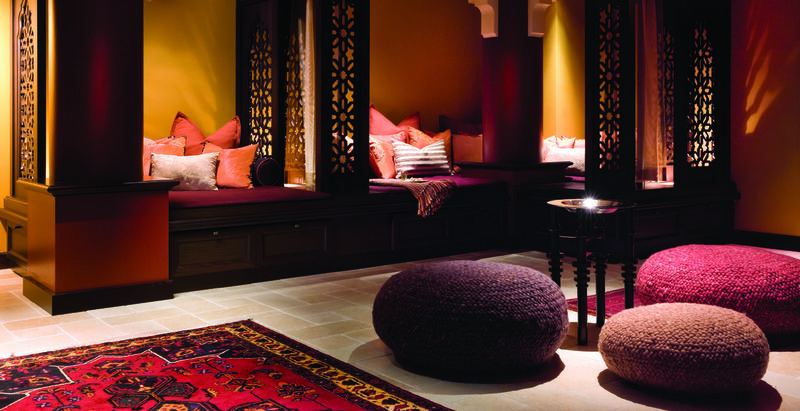 Alone in the changing room, it became clear that the Miraj Hammam is a high-quality place of exclusivity – with no other guests around, the place is booked for individuals or groups, ensuring privacy and true client comfort. Once changed, my wonderful attendant, Wegahta, came through to invite me to the Hammam room to begin the treatment. Much like the most authentic, true Hammams of the Middle East, the space is a clean, beautiful, ornate, steam chamber with running water and raised platforms of Jerusalem gold marble to lie on for the treatment. Aesthetically pleasing on the eye with a large fountain, pretty tiles, and delicious scents, this felt like an almost religious space for relaxation. Upon entry, I was taken through into the closed off steam room (the ‘Hammam’) to rest for an initial 15 minutes. The low mist and high intensity steam was to allow my pores to open and muscles to soften and presented the perfect opportunity to meditate and rest. Before long, the second part of the treatment began – the ‘Gommage’, which comprised the exfoliation treatment. Lying down on the platform, on top of my sarong, I rested into the gentle massage and lather treatment that my attendant began, as she exfoliated my body with authentic black Moroccan soap. Repeating this process a few times, I soon felt scrubbed cleaner than I had been in months, my skin wonderfully soft and supple, my mind gloriously rested. Cleansed, Wegahta began to apply the Rhassoul Clay Body Masque to my entire body, so as to further deep treat my skin. Famed by Moroccan women, Rhassoul clay firms skin, the mineral-rich mask absorbing the skin’s excess water and oil, tightening it and firming it up. Enjoyable and ultimately extremely pacifying, the whole process took about 30 minutes (though the Miraj Hammam allow 45 minutes for two people, and varied lengths for groups). But my revitalising rejuvenation was not over yet. 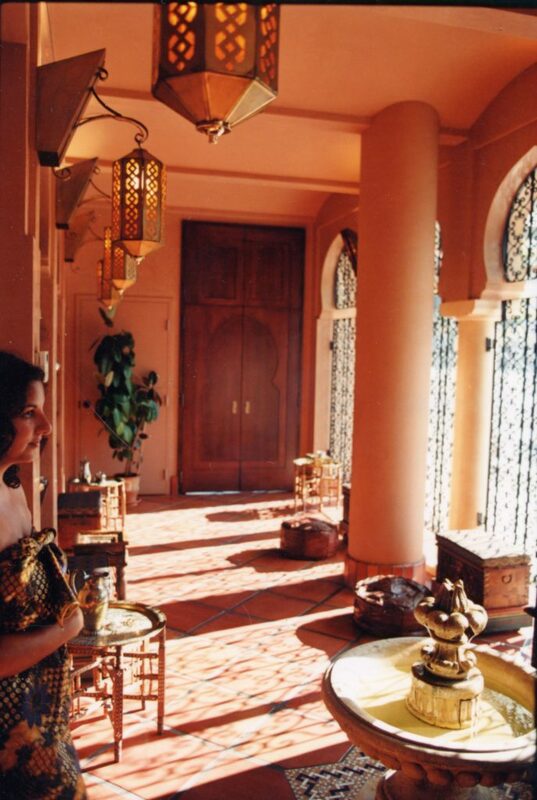 The Miraj Hammam also offers Spa Massage treatments, so I booked in for the Oriental Massage & Nettoyage de Peau. I was taken to a Zen-like treatment room to be treated by the gracious and gentle therapist Yiota, who proceeded to enact a wonderfully leisurely and soothing massage. This was not a painful deep tissue experience, but a genuinely supple and almost sleep-inducing hug of a massage, accompanied by spiritual music, in a wonderfully warm presence. After the full body massage, Yiota began the Nettoyage de Peau, a facial, using lots of aromatic oils that furthered the full hug experience. It was a thoroughly comforting experience, and one that I would love to repeat soon. 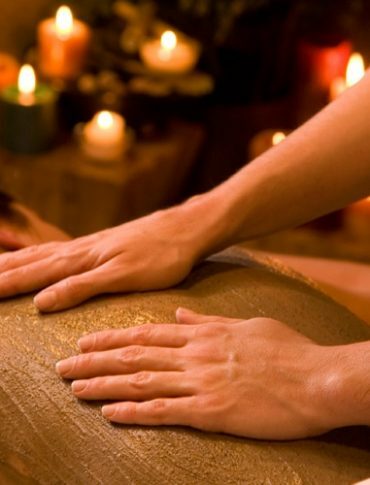 The combination of Hammam, body wash treatment and massage, can be booked for groups at a time, too, creating the perfect package for couples or friends alike. After the Hammam, Gommage, and Oriental Massage, my kind attendant wrapped me back up in my sarong to take me to the Sultana Lounge. 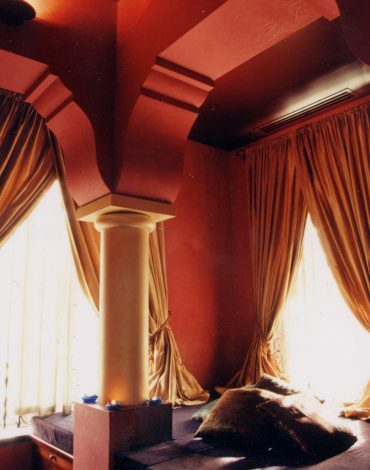 This second room, dry and spacious, comprises two giant velvet beds with silk cushions to recline on and continue resting. Feeling rejuvenated and rested, I enjoyed traditional tea (a sweet, warm honey-like liquid) with delicious sweet cake whilst I poured over a few magazines and soaked up the peaceful energy. I left feeling revived, my new-frazzled-expat nerves soothed, and feeling grateful to have discovered this haven of tranquillity in the heart of my new hometown. I will definitely be back soon.